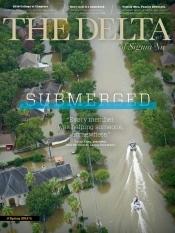 The Delta - v134n2 - Submerged - Sigma Nu Fraternity, Inc. It was an apocalyptic event. On the evening of August 25, 2017, Hurricane Harvey made landfall near Corpus Christi and the coastal towns of Port O’Connor, Port Aransas and Rockport. The area — sometimes referred to as the Texas Riviera — is well known to Texans for luxury saltwater fishing retreats and three-million-dollar bay houses that dot the coast line of Southeast Texas. As a Category 4 storm, Harvey brought 130 mph winds to these communities. By the next morning Harvey was downgraded to a tropical storm that would meander along the coast and dump 52 inches of rain on Texans for six more days. Forewarned of several days of flooding, voluntary evacuees in Bay City and in Brazoria County were stopped to allow for the crossing of livestock. Thousands of head of cattle along the Texas coast were herded to higher grounds and northbound along Texas highways and city streets. Police escorts were requested to safely see that these ranchers were able to travel on clear roads. The images of soaking-wet cowboys on horseback flanked by ranch dogs in a steady rain in such an eerie setting brought tears to many eyes. 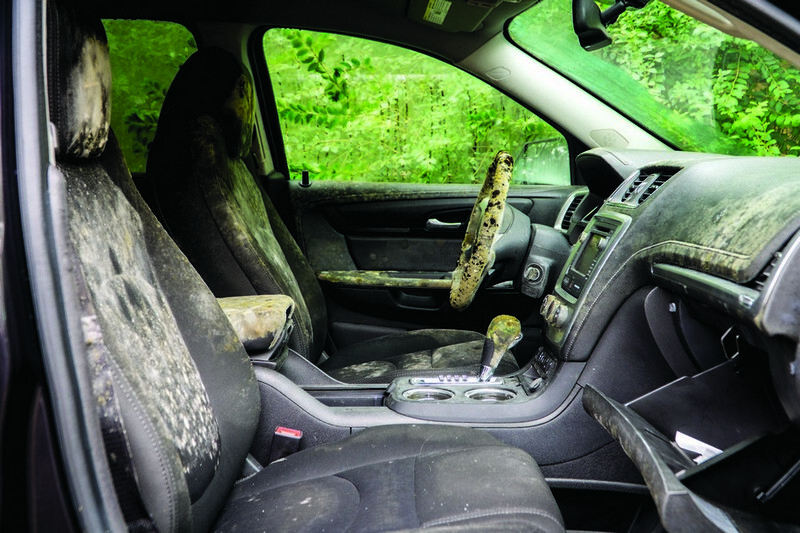 Farmers were also in dire straits. In Refugio and San Patricio counties, enormous grain bins were blown over and crushed like beer cans. Cotton crops, of which the majority of bolls had not yet opened, were decimated. Thousands of acres of rice patties were flooded by 32 inches of water, and some received even more. The USDA estimates that Texas lost at least $200 million dollars in crops, $150 million dollars worth of cotton. Finally, at least 77 human fatalities have now been attributed to Hurricane Harvey. In the Lone Star state, the worst of times can bring out the best in people. Those who lost very little and those who lost nearly everything helped neighbors and strangers. For brothers across the state, this was no exception. Beaumont, Texas, sits near the Texas- Louisiana border. It fell victim to severe flooding a few days after flooding began in Houston. Those Houstonians who had left Houston to retreat to Beaumont when Houston floodwaters began rising were then stuck in Beaumont facing the same peril. Division Commander Chris Graham (Lamar/Stephen F. Austin/ Houston) grew up in Beaumont and now lives in Kingwood, north of Houston. While Kingwood was one of the most severely damaged areas in Greater Houston, Beaumont was of equal concern. In fact, members of Zeta Psi walked, fed and cared for the dogs and cats at the shelter while shelter workers transported animals in shifts to Tennessee. Their efforts made Beaumont’s local paper. Without planning, many gentlemen have already served two to three times their needed community hours for the year. 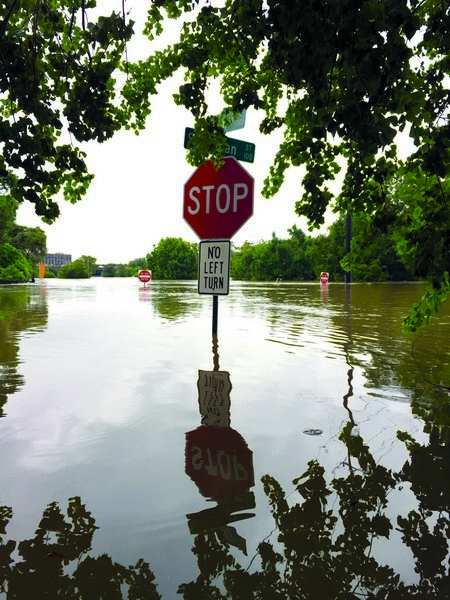 When floodwaters began to clear and Graham could safely travel to Beaumont, he returned to his hometown to help friends and fraternity brothers with their clean-up process. Waterlines on homes were four feet above ground level, and a similar scene was found in Kingwood. “I would say about 20 alumni from Lamar had two to four feet of flooding enter their homes […] It’ll take at least a year to recover.” Graham confirmed that he thinks that Harvey flooding will affect the ability for Lamar and University of Houston alumni to donate, attend alumni events and will have an impact on volunteerism. Unfortunately, less than 20 percent of homeowners affected by Hurricane Harvey had flood insurance. The overwhelming majority of media coverage focused on Houston. 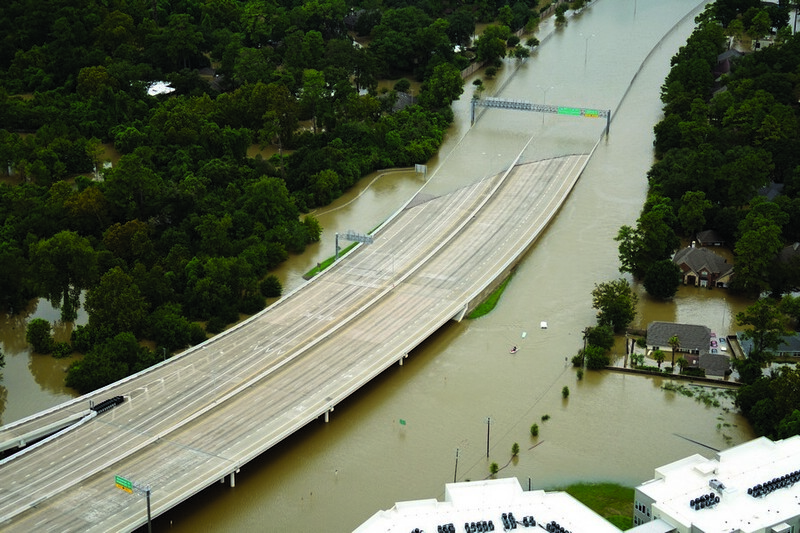 During his first hurricane, Shoumayan Bose, Philanthropy Chairman of Zeta Chi (Houston), found, found himself stuck in a parking garage near the Sigma Nu house. “I wasn’t expecting it to be that bad. Because of regular weather issues we’d experienced I didn’t think it was going to be a big deal … but we couldn’t leave the parking garage because water was quickly rising. So these guys in a truck piled in and they gave us a ride or else we would have been stranded. “That night, we stayed up really late and we decided to go to a friend’s apartment. I finally fell asleep, and woke up later that afternoon to so many texts and missed calls. Bayou Oaks [student housing at University of Houston where the Sigma Nu house is located] was being evacuated, starting shortly after I had left that morning, around 7:30 am. [It was dark] but when I left that morning apparently the back lower area behind Bayou Oaks had begun filling with water around 4 or 5 am. Everyone who parked in the back parking lot had his or her cars flooded. That’s a lot of cars.